To all Amazon shoppers, why not make your purchase have an impact for our school. For every purchase made through smile.amazon.com when Ptsa Connecticut Inc Daniels Farm School PTA is selected as your charity, we directly receive a donation. 2. In the header, click the drop down arrow near "Supporting:..."
5. Select "Ptsa Connecticut Inc Daniels Farm School PTA"
6. Each purchase you make supports Daniels Farm School. Check out our new store and you too can show school spirit while helping the PTA. If you didn't get a chance to donate to the annual DFS Family Fundraiser in the fall, it's not too late! To make an online donation by credit card, just click here to access the PTA Online Store. It only takes minutes and remember, it's tax deductible and 100% of the money goes to DFS! 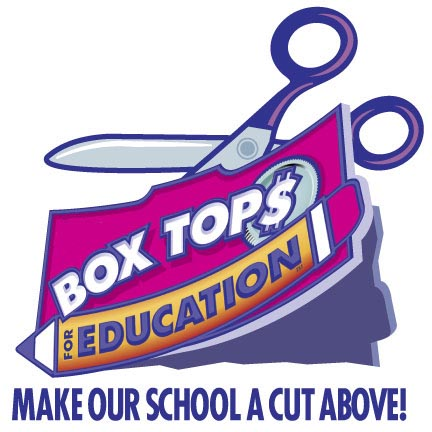 Keep clipping those Box Tops & Labels for Education! Our school goal is to collect $200/month! For each non-expired label submitted (please check those dates!) we earn $.10 for our school, which adds up quickly! The 2 classes that collect the most Box Tops throughout the year will win a popsicle party in June. Be sure to put your labels in a baggie marked with your child's name and teacher and send them into school! There is a box in the lobby where they can place them. Every dime counts - let’s make this year our highest earning year yet! Earn even more cash to help our school get what it needs through the Box Tops for Education® Bonus App. Turn your everyday receipts into cash for your school. It’s free and as easy as 1-2-3 (Buy, Scan, Earn). Download the free Shoparoo app from the Apple App Store or Google Play Store. Select our school from the list and start taking pictures of your receipts - shop anywhere, buy anything! Earn even more Roo Points, or cash donations, by inviting others to join using your personal referral code. You can even select a grade to support and have fun with grade competitions! Stay tuned for more details on the grade competitions. Simply click the link to enroll your Stop n Shop card in the 'A+ school rewards program for DFS' and Earn A+ School Rewards every time you shop between October 9, 2015 and March 17, 2016. Registration for your card starts on September 14, 2015 - be sure you sign up! This is an easy way to support DFS! Enroll your Target Red Card in their 'Take Charge of Education' program. DFS will receive a percentage of each purchase in the form of a cash donation from Target through the Take Charge of Education program. Simply visit Target Take Charge of Education to designate Daniels Farm Elementary School. Grandparents, alumni, neighbors and friends can take part, too! Are you looking for a way to get your business name out to other DFS families? We are printing our DFS directory shortly and we have opportunities for you to advertise your business inside. Please email Cher Day for more information.